Spring is a time of regrowth and the reintroduction to warm weather and outdoor enjoyment. Many of us are inspired in spring to tackle projects around the house. This season is also the time when the warmer weather encourages us to return to the gratification of our outdoor spaces. 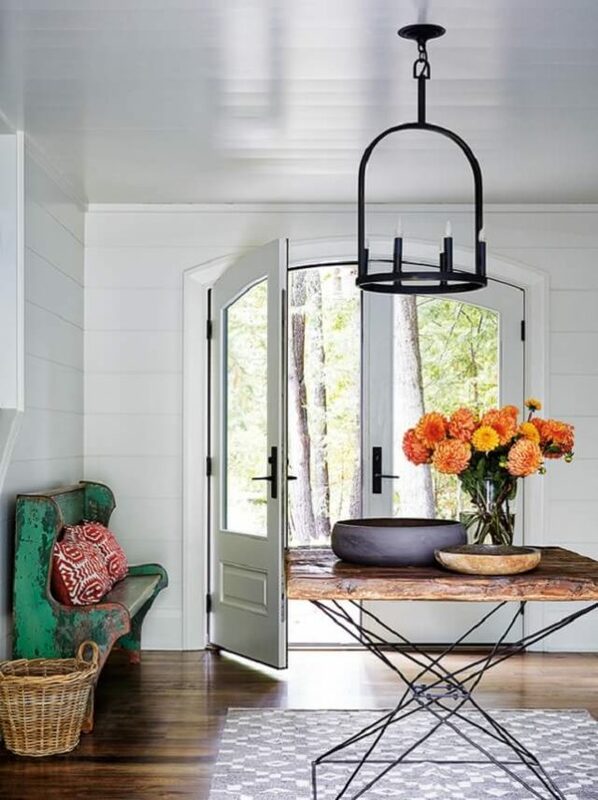 In honour of the warmer weather finally arriving, I’m sharing seven ways to welcome spring with your front porch or entryway. The front door is an important exterior feature of your home. It is the first thing you and your guests notice, and it is the last thing seen when leaving. 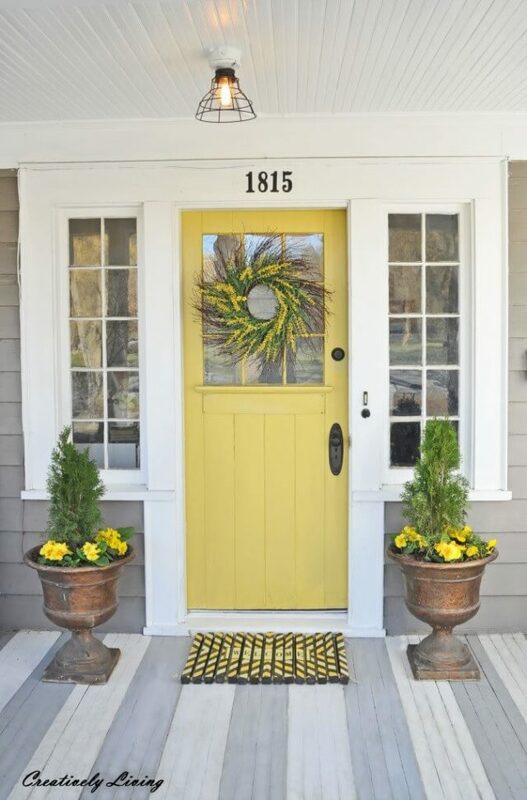 Make a statement this spring by painting your front door a sunny and joyful colour! Try playing around with yellow hues or robin egg blues for a bright and cheery effect. Incorporate plants, flowers, and decorative elements in the same hue to complete your look. 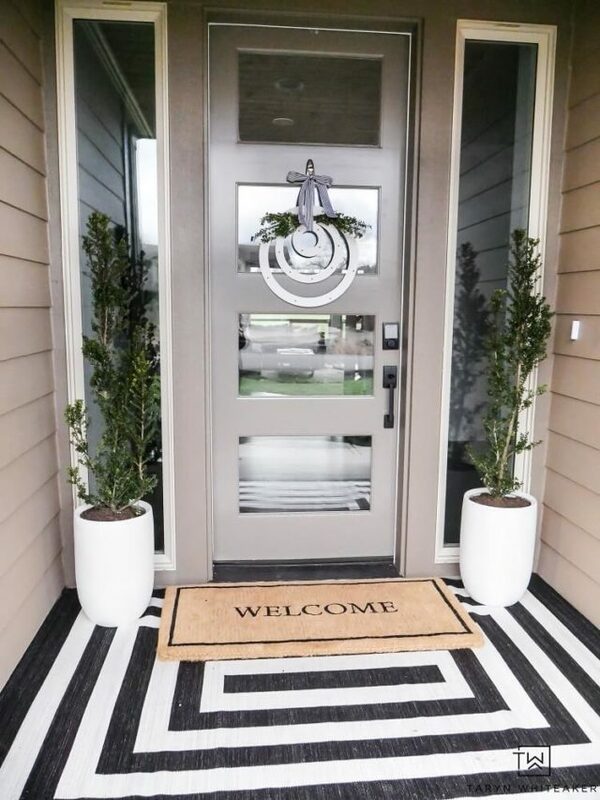 When looking for the perfect door hanging, try an unconventional and personalized approach. Visit your local arts and crafts store and select an arrangement of your favourite springtime faux blooms and moss. Place the arrangement inside an old mail or accessory bin, add a complementary ribbon and place this unique arrangement on your door in place of a wreath. This low-maintenance accessory is timeless and can be used for years to come. If you are fortunate enough to have a front porch, you can add privacy and another living space by creating an intimate seating area with the addition of outdoor drapery. 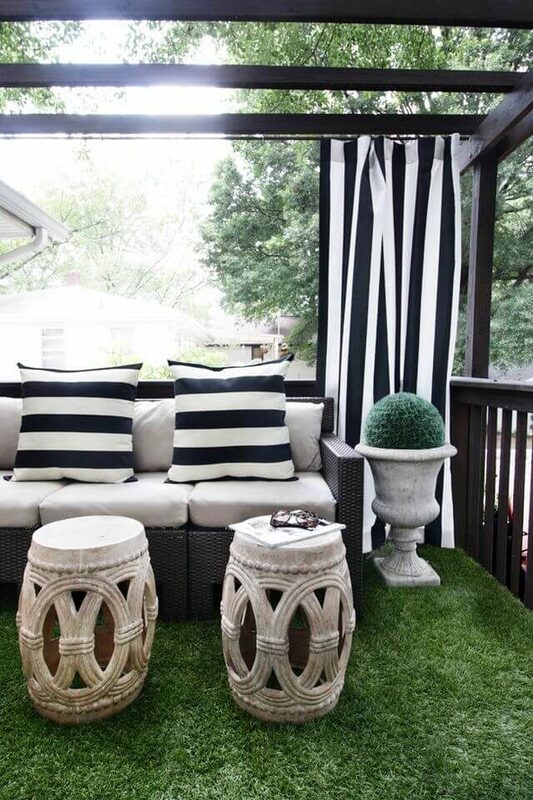 This will create privacy in your space and make you and your guests feel as if you are at a resort. Lighter materials will blow effortlessly in the wind, while more substantial and heavier materials will have less movement and more privacy. Go big for your home entry! Make a big impact with oversized arrangements. Grow a variety of bushes, ferns and complementary blooms together for an artful, organic arrangement. 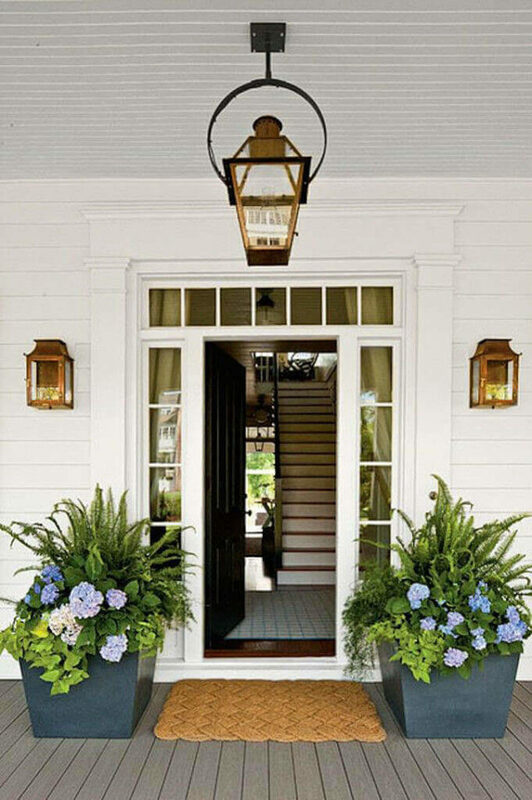 For instance, try combining maidenhair fern, Boston brush and blue hydrangeas for a calming blue/green colour scheme. The whimsical shape and movement of the fern adds height and volume to longer and lower growing brush. Pops of blue complete the composition for a winning look. 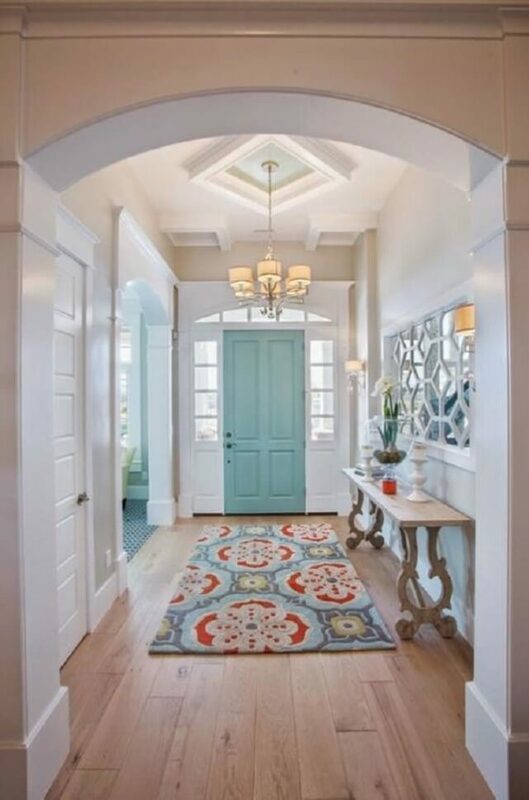 Let the sun shine in and create more light in your foyer by installing a front door with glass. You can add side lights as well if you have the space. The glass panels can be clear or frosted depending on your need for privacy. Glass in front doors is functional and aesthetically pleasing. 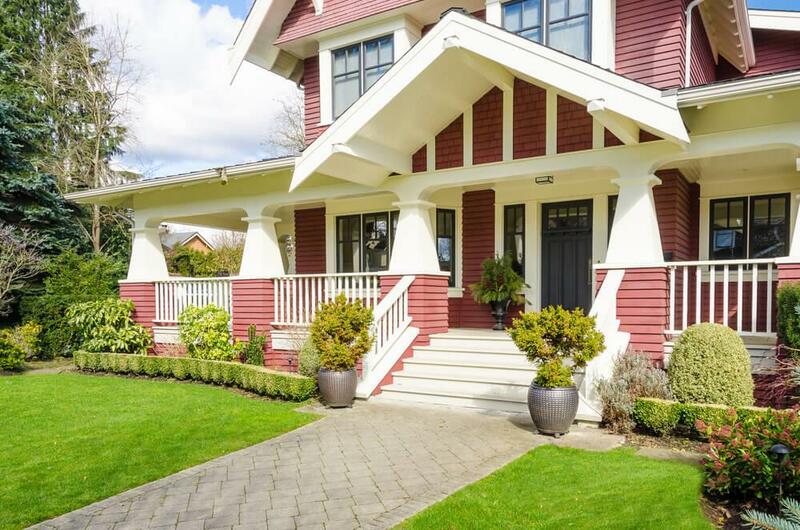 Perhaps you live in a condo or don’t have a large porch or outside entry. 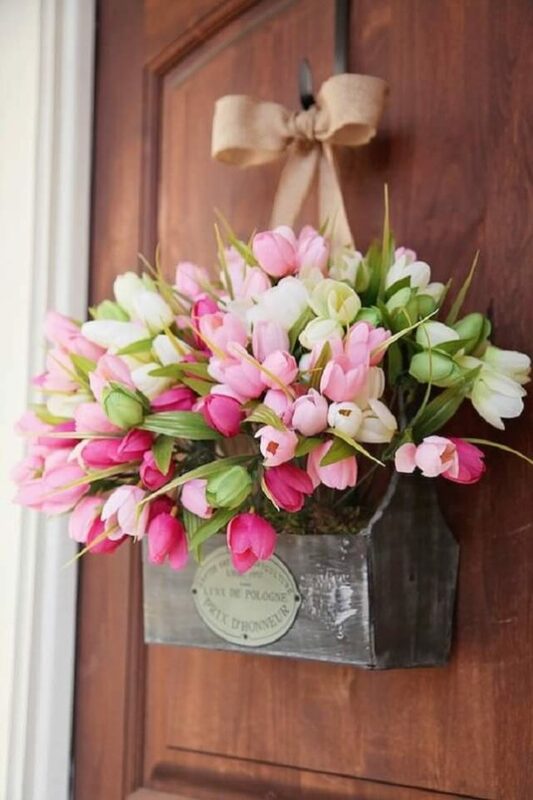 If so, no worries as you can bring the spring vibe into your foyer. It can be as simple as a vase of fresh flowers or some branches such as springtime blooms found on forsythia. Purchase some new pillows or accessories with springtime themed or flower patterns to add a sunny feel to an entry bench. The look of wicker and rattan baskets and accessories also exude the sensation of the season. In most foyers in the GTA, we need an area rug to protect our flooring from the elements. An area rug also defines and grounds a space. With the change of season, we can typically introduce an area rug that is more decorative rather than utilitarian. Purchase an area rug to bring in the accent colours in your home. Remember to measure before you buy! I hope these ideas inspire you to inject a little of this season of revival into your home. You can find these ideas and more on our Pinterest board, Welcome Spring!